at the Historic Dockyard in Chatham. · Margaret Gordon became the wife of Lieutenant Gunn, merchant Swiney, first president of the Gunn Society at Thurso in 1821. · The Scottish Canadian 1899... Dr Robert J. Gunn of Whitby, Ontario ‘son of the late Rev. Alex Gunn of Watten... mother was the daughter of the Rev Robert Arthur... Dr. Gunn was born at Watten in Febbruary 1844, educated at private school and the University of Edinburgh... diploma in 1834... practised for some years at Thurso...1842 setlled at Whitby Ontario... thirty years...twice Mayor...J.P.... physician for the jail... 1849 married Agnes Pringle... four children, two dying young and two living... Mrs Mackay Indian head and Mrs J Ball Dow, Whitby. · The first Rev. Alexander Gunn, Watten, married in or before 180?8 Elizabeth, the second daughter of Rev. Mr Arthur, Resolis, and died in 1836; their family the Rev. Alexander Gunn, Watten, the clan historiographer who died 14th December 1892, born 24th May 1809; Dr Robert, James William and Elizabeth. Rev Alexander, the son, married in 1837 Miss Muroch, Wick and thie family are Alexander in Singapore, married, with male issue, Johnin Java, James in Sumatra, Elizabeth, Janet, Alice and Mary, two of these daughters married, one to Rev Me M’Neill, Tongue, the other to Mr Nicholson, factor, Watten while his sister Elizabeth was the wife of Mr Eric Sinclair M.D., naturalist and antiquary. These Gunns claim to be Robsons or M’Robs. · John, the third son of the coroner, was the ancestor of the Johnsons or M’Ians, the Bregaul, Cattag, or Dale Gunns, whose representative at the beginning of the last century was Captain John Sinclair, Dale, married at the 30 in 1800 to Anne Davidson, Buckies. Their family were Marcus, born in 1801, died 1806; Elizabeth (mother of the Hon. Principal Miller, Madras), born 1803, died 1892; John, born 1805 died 1839; William, born1806, died 1864; Marcus, born 1808, died 1881; Alexander and James, twins, born 1811; Anne, born 1813; and Margaret, the second daughter, wife of Donald Gunn of Latheron, who must have been born in 1810 or 1813, dying in 1886. Marcus, the fourth son, married Elizabeth Calder, with issue John, Dr Robert, Ellen, Anne. The twin Alexander, Dale, married Catherine Williamson in 1852; their family, John, naturalist, born in 1853, Donald 1855, Alexander 1858, Anne 1863, Christina 1865, William 1874. 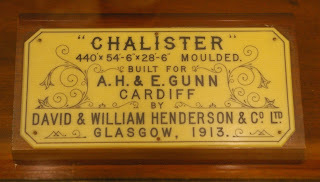 The other twin James in Sibster married Anne Calder and had John S. William, Ellen, Margaret, Elizabeth, and Jemima. The daughter Anne married Rev. David Ferguson, Westerdale F Church their children William, John, Anne, and Catherine. John in Glendhu, son of Marcus, who became sheep famer of Culgower, Sutherlandshire, married Caroline, daughter of Rev. Charles Thomson, Wick (1794-1871), but died without issue. Ellen Gunn his sister, married James Mitchell; and Anne, the other, William Mitchell, sheep farmer Ribigill. · ‘Humour’ Alexander Gunn of Edinburgh dismissed for some false report ‘A Gun discharged for making a false report’. · Celtic Magazine of 1884 ‘Rory Gunn figuring in ‘A Legend of Girnigoe’... a passage of the life of George, fifth Earl of Caithness... 1635...’ True? Fiction?